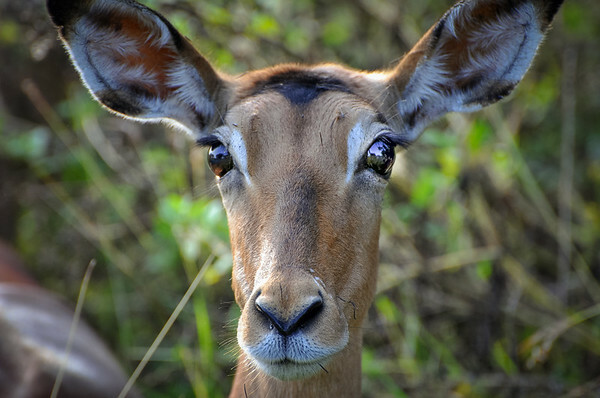 Impalas are medium-sized antelopes that wander the savanna and woodlands of eastern and southern Africa. I snapped this photo in Kruger National Park, South Africa in 2009. You can see the needles sticking out of the impala's face from the barbed trees surrounding it. 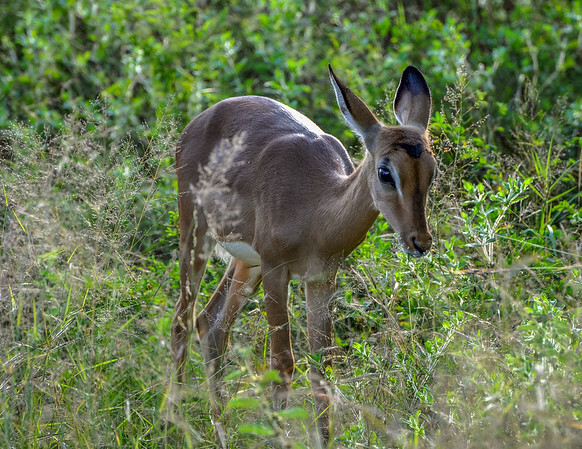 Impala's are very beautiful animals with very unique markings. If you go on safari you will see a lot of impalas and many times with other animals among the herd. While on safari I typically have my 70-300mm zoom lens mounted on the camera. You aren't going to get a picture like above without one. I have a second camera with a wider view in the event I need to get a picture of something closer to me, like an elephant. You need at least a 300mm lens if you are going to capture good photos of a rhino. It is difficult to get close to them.